Mobile Chat rooms has become one of the most trending concept nowadays with almost all the users who are being fond of chatting are being using some or the other kind of chat rooms being available online. 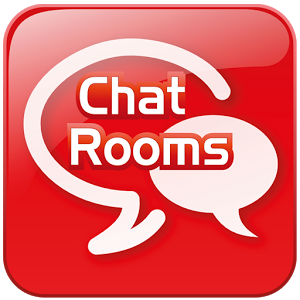 Chat room is a kind of facility where multiple users can come together and chat in one place with different people around the world making new friends. Thus chat rooms is a kind of community where different people are being gathering together to talk to each other and discuss about various issues. Mobile chat rooms are a kind of platform which is being even supported in a mobile device and can be used up to connecting to the chat services. The chat room is being featuring the chat with multiple users which are being present in a chat room. Thus allowing the freely interaction with the different users being present in the chat rooms. It will help in sharing ideas with the people which are being located around the world. These people share their views and topics about in general with the other users being present in the chat room. Some of the people being present in the chat room possess the privileges of the ownership. These people have the right to control the chat rooms completely and have the complete authentication power for the mobile chat room. This owner assigns admin to the different participants of the chat room. This admin manages the responsibility of managing the users being coming to the chat room and the way they are being talking with each other and the outer people. This admin manages the chat room and the kind of chat being taking place in the mobile chat rooms. The admin possesses the second highest right after the owners. Their main tasks include managing the chat rooms and maintaining peaceful chat within the chat rooms. Finally the option comes for members of the chat rooms. Most of the chatting websites doesn’t include this feature. The people who are being inside chat room and chatting with the other people present in the chat rooms are being considered as members. But some of the chat rooms which is being quite strict in terms of spamming messages is enabling this feature where the newer member which enters the chat room enters as participant and has to answer a one kind of captha to prove that he/she is not a robot which can spam with a very high speed. The person who is being regular in visiting the chat room can be granted membership for preventing him to answer captha every time it enters the chat room. Though this feature is not being enabled on every messenger service but some of the good messenger services support it like Yahoo messenger and even the Nimbuzz Messenger which are providing the chat room experience for mobile device too. 1. A place to chat freely and make new friends from all over the world. 2. Private chat feature supporting to chat privately with a specific user. 3. To share and receive ideas from the people being located around the world. 1. Spamming is one of the major disadvantages being spoiling the chat rooms, which is mainly being done by automatic software robots. 2. High range of people being present in a chat room also can lead to conflicts now and then between the users. Thus we can conclude that mobile chat room is one of fantastic feature being introduced to talk with the multiple users being present around the world with a little Disadvantage of ideological conflicts.